We had asked Marnie (who made our lovely tables) to try her hand at plates and after a couple of samples we now have the most amazing wooden plates for the restaurant. 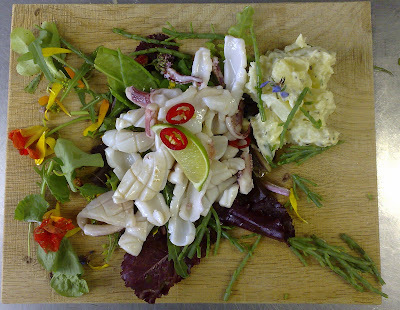 They'll be used for crab and starters ... how cool are they !? 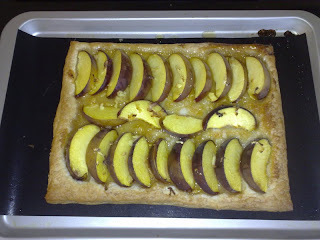 This is a very simple tart to make and tastes great. 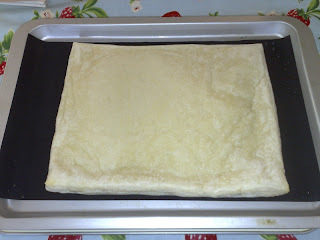 Stage one is get some good quality puff pastry, preferably butter pastry which also means the dish can be vegetarian. 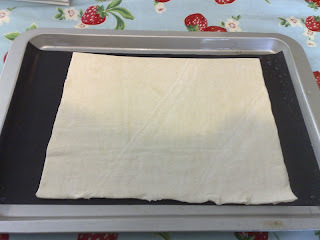 Roll it out onto a tray which is floured, or covered in silicon sheet. 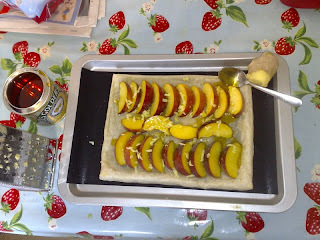 Bake for another 10-15 minutes till fruit is cooked and pastry is browned, slice and serve with cream or ice cream. Easy and delicious ... try as a savoury tart too, make a great brunch dish with eggs and bacon. The restaurant continues to absorb most of my time, we are having a great time and rapidly improving in most areas, front of house, food and decor. Sorry for lack of posts but will write some soon, hopefully this weekend when I'm away at a lovely food festival in county Durham ... do come if you live anywhere nearby and say hi. Thanks everyone for comments on the restaurant, most have been positive and constructive and these do get a lot of attention and thought. I think we are addressing most of the areas where we agree with your concerns and, yes, there are some things which we won't change, the type of food, the style of the restaurant and our commitment to creating a customer experience. Apologies to those who haven't been able to get in yet for dinner but we have space lunchtimes with a few days notice and will have more space in the winter months and look forward to seeing you then, there are many other great places to eat if you are down our way for holidays, hopefully you can stop in for lunch at least while you are down in lovely West Dorset. 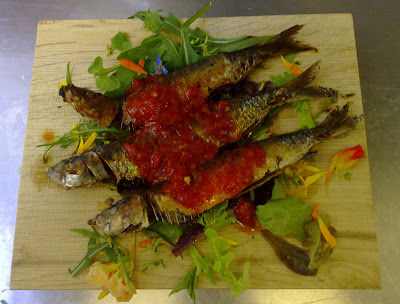 So a longer more detailed post on opening and several recipes to come ... soon I hope !